Garage Force of West Michigan is the leader in polyurea coatings. Our floors are 20X stronger than epoxy coating and each floor come with lifetime warranty. Call or text 855-514-2724 to hear more or to set your appointment for a free estimate. Xpress Maids is a local, family-owned and operated company. We provide eco-friendly premium residential cleaning services in Kalamazoo, Portage, Richland, Battle Creek and the surrounding areas. Below are a few reasons to choose Xpress Maids; No Contract and No Obligation: At Xpress Maids, we believe in giving our valued customers total freedom. We offer our services without a contact to keep you free from unnecessary obligation and to keep you in control of your choices. Many cleaning companies will make you sign longterm contracts based on empty promises and fake testimonials. As a result countless unsuspecting customers end up settling for horrible services or get charged hefty early termination fees for canceling a service they don't like. Our 99% customer retention rate is evidence that the quality of service alone is enough to secure the customer's business and trust forever. Safety, Security and Piece of Mind: For the safety, and security of your family, your home is cleaned by a team of experienced, drug-tested, criminal background checked, trained, insured and bonded maids. 100% Green Cleaning: For the health of your family we clean your home with bio degenerate, environment friendly chemicals and green cleaning products. 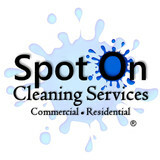 Since 2012 Spot On Cleaning Services LLC has been providing Excellence in clenaing for residential, commercial and industrial clients across West Michigan including Holland and Grand Rapids. These cleaning services include the complete and timely cleaning of carpets, windows, tile floors, kitchens, bathrooms, offices, break rooms, board meeting rooms, as well as any other cleaning services requested by our clients. Services are always completed based on the needs of our clients - daily, weekly, bi-weekly, or anywhere in between, and will exceed our client's expectations of cleanliness every time. Spot On Cleaning Services LLC is also fully Insured and Bonded. 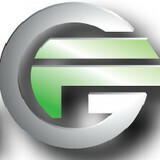 Our company is founded on the Christian guiding values of Integrity, Trust, Respect, and Responsibility. We aim to hire like-minded Christian individuals who will help us to further God’s love in our community by serving others. We value our relationships with our clients and our employees, and we will always make them our first priority. Elite Home Services is a premier service in the Grand Rapids area. We offer a quality job at an affordable price. You can trust that we will be there on time, and your satisfaction is quaranteed. Surface Renew is your local pressure washing, window cleaning & roof cleaning company in Grand Rapids, Michigan. We are proudly serving West Michigan, Ada, Lowell, Gun Lake, Wayland, Allegan, Holland, Grand Haven, Muskegon, Newaygo, and all surrounding areas in Michigan. As your professional exterior cleaning company, we are proud to deliver complete service in pressure washing, building washing, window cleaning, roof washing, rust stain removal, concrete cleaning, or any other exterior cleaning project. 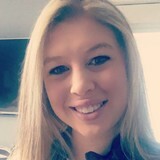 We are an experienced and certified, professional carpet cleaning service in Kalamazoo, MI and the surrounding areas that strives to please our customers through our communication, attention to detail, and customer service in which we have successfully built our reputation. Having a clean environment to work in is no small matter. Cleanliness is important to make sure that everyone in the area stays healthy and can breathe easy. But having a clean environment is also important for mental health. Unkempt spaces are oppressive to the mind and undercut concentration and productivity. Let Custom Janitorial take care of it so that you can be happy, healthy, and get on with your life. 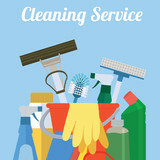 What should I expect from a house cleaner in Holland, MI? Most professional Holland house cleaning services will do the same tasks for a basic residential cleaning job: clearing dust and cobwebs from all surfaces and fixtures; wiping all surfaces, including sinks, tubs, counters mirrors; cleaning tile; vacuuming and mopping. You may want to have different rooms detailed at different times, so ask about doing a rotating schedule if you want them to pay extra attention to each space (like kitchens and bathrooms) every other cleaning. Some house cleaning companies in Holland, MI will also offer additional services such as window washing or appliance cleaning, so ask about incorporating them into your deal or doing them as a one time thing if you’re interested. Pick up any clutter (laundry, toys and other gadgets) and put pets in a secure spot so they feel safe and don’t get in the way of the Holland house cleaning company. Put out any specific cleaning products or tools you want used, and make sure to lock up any valuables that you don’t want disturbed. Most housekeeping services in Holland, MI will enter with a spare key or garage code, but if that isn’t something you’re comfortable with then you should arrange for them to come when you are home to let them in. Typically Holland house cleaners expect payment at the time of cleaning, so ensure you have the appropriate form of payment (cash, check or credit card) on hand, plus a little extra for tip if that’s your style and they do a great job. Find Holland house cleaning services on Houzz. Narrow your search in the Professionals section of the website to house cleaners in Holland, MI and contact local companies to ask questions and get quotes.